After I boot and the Win 7 logon screen comes up, I click on my name and nothing happens. I can't type my password. I shutdown, enter "Start Windows normally" and then i can enter my password. This has happened twice now. Also when i go away for a couple of hours and come back the same screens are showing when i left. The monitors used to power down , then would start up when i moved the mouse. My system is 4 years old. I've installed all the Windows 7 updates. Now check and see if you can login without you having to shut down the computer. You can also check and see if the keyboard and mouse cable is properly plugged in into the back of the tower. You can try and unplug them and plug them back in. Also, I would recommend shutting down the computer from Windows itself and not by pressing and holding the power button down. If you are leaving the computer for more than 3 to 4 hours, it is advisable to shut the computer down rather than leaving it on. You do not need a new graphic card for this problem. If you are able to see your screen properly then your graphic card is working fine. And it is also good that you have kept Windows 7 upto date. Do install the updates which come from time to time. 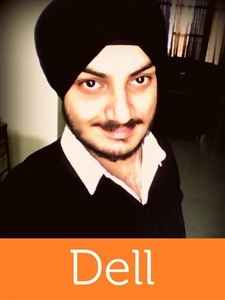 To know more about Dell’s products, services and drivers & downloads, order & dispatch status -> choose your region USA; India. For helpful Dell Support Videos, you may click here.